Learn in 3 hours what could take you years! We invite you to accelerate your learning curve with a private mountain bike lesson. Our amazing coaches will help you discover your full riding potential! Your skills and confidence will improve to give you the power to tackle those harder trails with new-found excitement. Book a session with just yourself, or bring a group of friends. Either way, we offer a customized lesson that encourages those 'light bulb' moments of discovery. We’ll show you new techniques for approaching those pesky obstacles that always get in your way. 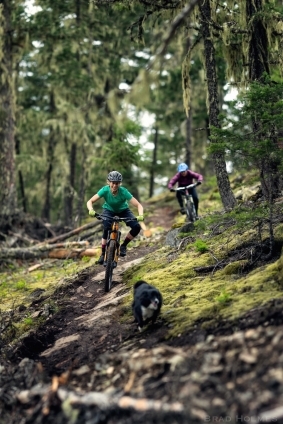 Sylvie, our head coach and Sweet Skills founder, has helped thousands of people through her 17 years of mountain bike coaching and always loves to guide you through the progression to amazing riding. Whistler and Pemberton offer the best playground in the world for learning! Be sure to sign up for a coaching session and elevate your skills to a new level!